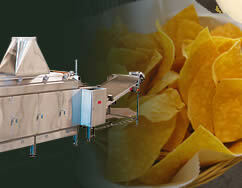 The MAGNA254 Differential Speed Sheeter Head is designed as the ideal complement to the Casa Herrera Tortilla Chip Toasting Ovens, providing consistency and uniformity in chip and tortilla weight, thickness, and shape control in high-demand situations. 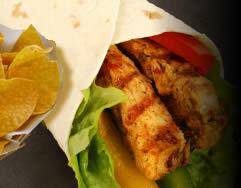 These units sheet a wide range in corn masa moistures with a minimum in weight variance. Excellent product appearance can be maintained while producing an extremely thin product. The MAGNA254 can handle the most demanding production requirements. 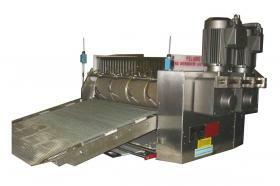 With extra heavy rigid frame and an all Stainless Steel sanitary sloped top design and computerized control of the gap between the sheeter rollers for uniform product thickness the MAGNA also offers an optional Presheeter System for Masa management and improved production consistency. 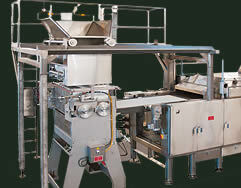 The micro bevel roller placement, gearmotor direct driven rolls, differential speed sheeting rollers, "Touch Screen" operator controls, AC inverter speed control, and fail-safe supervised safety switches make the MAGNA Series Sheeter Heads the most reliable machines for your Corn Tortilla manufacturing needs. Depends upon size and output. 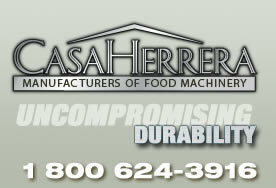 Please call Casa Herrera to discuss custom designs.